Could hackers seize control of your car? (CNN) -- When car companies begin exhibiting at mobile phone shows, it's a sign that the "connected" vehicle has truly arrived -- allowing us to take our digital lives with us as we hit the highway. But while Ford's unveiling of its latest car at Mobile World Congress -- a major cell phone industry event -- this week may have heralded a new automotive age, it also heightens fears that our technology-crammed cars could be hijacked by hackers. Just like our PCs and smartphones, the computerized components that have infiltrated almost every aspect of modern vehicles could potentially be broken into, experts say. Only, with a car, this could have far more dangerous consequences. "We typically don't drive our smartphones at 80 miles an hour," said Brian Contos, security strategist at technology protection firm McAfee. "But safety concerns and privacy concerns all culminate when you talk about automobiles." 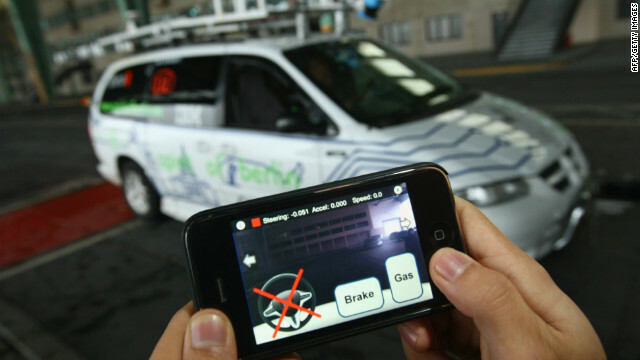 Ford isn't alone in integrating mobile phone technology into its cars. While its networked B-Max compact and its prototype Evos were big hits at the Mobile World Congress in Barcelona, also on display was a BlackBerry-embedded Porsche 911 and a Toyota with an integrated Samsung phone application.